Is Bluehost Cloud Hosting better than standard shared hosting? And in addition, what Cloud Hosting really is? What difference does it make and why should you think about migrating your blog to cloud hosting? Before talking about Bluehost cloud hosting review, it is important to understand Cloud Hosting itself. So let’s begin with the basics of Cloud Hosting. Your website or blog requires different hosting resources. When it comes to Cloud Hosting, these resources are divided and distributed to different servers. You may call it the Divide and Rule approach. There are multiple servers managing different resources. If there is a problem with a specific server, the rest of the servers keep working and even they provide the required assistance. As the concept is based on the cluster of servers, this is why it is called “Cloud”. Is there a convincing real-time example? For a hard nut, it becomes difficult to believe anything new. There is nothing wrong in this because it is better to ask for the demonstration or a convincing example. Google is the prime example in this case. Have you ever seen Google going down? Did you ever see the slightest of hints to question Google’s uptime? Why? Simply because Google uses Cloud Hosting. Google’s maintenance resources are distributed across thousands of servers. Worried about Cloud Hosting Prices? Bloggers, especially the beginners, can’t afford to spend too much. A few years back, only the established businesses managed to afford Cloud Hosting expenses. Things have changed and the prices have come down. Even the small business owners prefer Cloud Hosting these days. There are some “free” Cloud Hosting platforms available for bloggers, but I seriously don’t recommend it to anyone. As a hobbyist, you may use those free platforms. If you want to make money from blogging, just opt for the paid Cloud Hosting. Why Do Bloggers Need to Consider Cloud Hosting? A non-professional approach isn’t going to help your cause if you are really interested in blogging for passive income. Just like website management, a blog requires proper management. You can’t take anything for granted these days. With more and more bloggers participating in this money making race, you need to highlight your blog to help it stand out. Conventionally, all of the above functions were generally associated with IT experts. Today, even if you’ve never typed a single code in your entire life, you can easily manage all these things in minutes. How Reliable and Secure is Cloud Hosting? As a blogger, you’ll always want to keep your blog from security risks. Multiple servers keep helping each other by rendering resources. It reduces the risk of failure. So the blog remains available with maximum uptime, not only for you but also for your visitors. On the other hand, the normal hosting services don’t ensure permanent reliability. Even one issue can cause the blog to go down for a long time. All the servers of a Cloud Host are well protected. The hosting companies make use of the latest and most reliable security tools. The chances of unauthorized access are close to none. There are a number of hosting platforms, some offer free services, whereas others offer paid hosting. It is understandable, which option is going to serve your blog in the best way. So, let’s see what we have here! There are a number of options, Bluehost, SiteGround, and HostGator are the most talked about. The reason is simple, millions are using these platforms and happy with their services. Why is Everyone Talking about Bluehost? With millions of clients using Bluehost to facilitate their blogs and websites, there is no surprise that everyone is talking about it. This 15-year journey (from 2003) continues to facilitate the clients with top-notch hosting. Its history is enough to certify the credibility of this promising hosting platform. Why do I strongly recommend Bluehost? Bluehost is secure, its performance level is top-notch, I love the Bluehost cPanel, and above all, 24/7 Live Support is super convenient. The UI is simple, intuitive, and easy to manage. It lets you to efficiently manage domains, emails, and database. It is compatible with the most demanded software, including WordPress and Joomla. You don’t have to look to the experts, the cPanel facilitates you with easy installation features. As a blogger, it saves your time and lets you focus on creating impressive posts. You don’t have to spend too much time in order to manage all these things. This is why I love encouraging the newbies to try Bluehost, more so, Bluehost Cloud Hosting. If you want a perfect guard for your blog, you need to consider Bluehost. It offers exceptional security features thanks to the latest foolproof tools. You don’t want your blog to suffer from unauthorized access, do you? Keep it safe and continue making money without having restless nights. Let Bluehost take care of everything. One of the most cherished features, 24/7 Live Support makes Bluehost reach the top. Even though hosting platforms simplify things to facilitate the newbies, you never know when you come across a confusing situation. This is where Live Support comes into play. If there is no Live Support, you have no option but to visit the forums. The problem with the forums is that this practice eats up a lot of time. Secondly, different Gurus suggest different solutions. Thirdly, the Guru’s on the forums have developed a habit of using jargons. It makes things more confusing for the newbies. Historically, it wasn’t as fast as it is today. I can easily recall those days when I had to wait for more than 15 minutes to connect with the Customer Support agent. Today, Bluehost has made exceptional changes. Now things are lightning fast and it makes me more confident when recommending Bluehost. Whatever people tell you, no matter how many Gurus recommend Bluehost, it doesn’t make much difference because there are numbers of Gurus recommending alternatives. What makes Bluehost stand out? 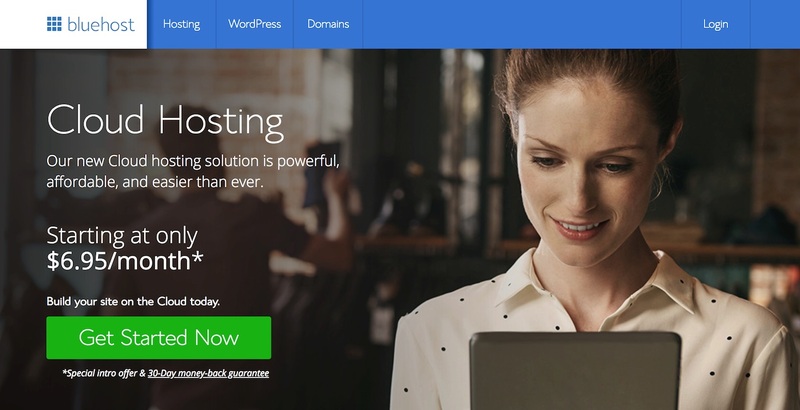 Bluehost also managed to impress WordPress and this is why WordPress.org recommends Bluehost if you want to make the most of optimized hosting,well-managed WordPress optimization, backups, and automatic updates. Well, when WordPress.org talks good of Bluehost, it does make a difference. Most of us overlook this important consideration. In the past, the notion that Bluehost is established in the US with its servers in certain geographical locations gave rise to a thought that Bluehost is more suitable for the residents of the United States. Bluehost has made an extraordinary move by expanding its operations across the globe and offering exceptional services when it comes to Cloud Hosting. Bluehost cloud hosting is one of the best affordable quality hosting service available on the web. We highly recommend it. Sign up using our discount link given below and receive exclusive Bluehost discount. Your online business (Website/Blog) is an important part of your journey. And what makes that journey flawless is a good hosting service. This is what makes a reliable hosting service highly important. It ensures exceptional speed, smooth functioning of different features, foolproof security, and reliable backup. These are the things every web developers needs to satisfy the visitors. Cloud Hosting has changed the online world and has quicken everything. You don’t come across frequent downtimes. To make online money, you first need to see if you are using the latest and reliable services. That concludes our review of Bluehost cloud hosting. It is indeed, one of the best hosting services for new or experienced web developers and bloggers. Do you have any experience with Bluehost or any advice? Share them in comments below! Bluehost Cloud Hosting is quality hosting in affordable pricing. Everything you can expect from a reliable hosting service is what you get from Bluehost. Don't miss out on the deal! Click the button below to get an exclusive discount.